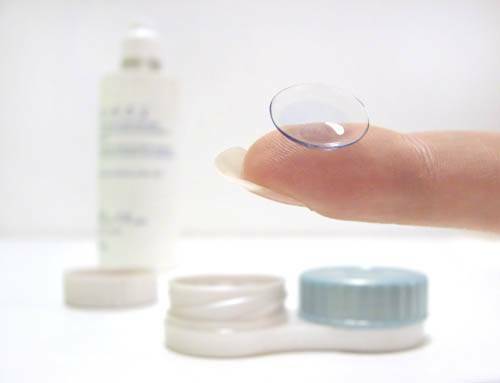 There will be a contact lens evaluation fee in addition to the standard eye exam fee. Contact lens patients require additional testing and monitoring over and above what is done during a routine eye exam. Contact lenses are medical devices and even though they may feel fine, there are health risks that must be taken seriously. In order to renew your contact lens prescription, your doctor performs the following tests on a yearly basis. These procedures are not part of a standard eye exam. Corneal topography – a digital color map of the surface of the cornea to monitor shape and curvature, which may be affected by contact lens wear. Slit lamp microscope examination of the contact lens on the eye to check the lens fit. Slit lamp microscope examination of the cornea, conjunctiva and eyelid tissues, to check the eye health and to look for adverse effects from contact lens wear. Contact lens refraction to determine the correct contact lens prescription power (contact lens prescriptions are different than eyeglass prescriptions). Review new lens designs and materials that may improve comfort and/or health.